GSTPOS FNB software is a restaurant management system that is among the most advanced POS System currently available for restaurants, bars, night clubs, quick service restaurants, delivery joints, and other operations. GSTPOS FNB software satisfy the need Whether is to manage one loyalty program or many, keep table reservations up-to-date, manage the materials available to your chefs, or keep orders on track. It has been designed to integrate the various tasks of managing your food establishment into a single interface and make it easy for you to enhance the overall performance of your joint in terms of efficiency and profitability. At the same time, it is supremely flexible, gets updated regularly, and comes with top-notch, online technical support. It also offers complete windows tablet support to allows remote monitoring, reporting, and restaurant management. The best part about of GSTPOS FNB software is it costs very little to acquire and integrate. You do not have to give any specialized training to your staff or bring in any additional hardware. You can be up and running in just a few hours and that too without stopping operations or even disrupting the regular flow of business! Customer Retention - Retain more customers through better customer satisfaction. Targeted Advertising - Send ads to customers based on buying habits. Custom Price Levels - Give discount to frequently visit customer. Inventory Control - Ensure your stock before promise your customer. Inventory Reports - Find old stock to discount for quick sale, reconcile quantities in stock. Hot List - Discover your hottest sellers. Profitability Reports - Find the product most profitable in your inventory. 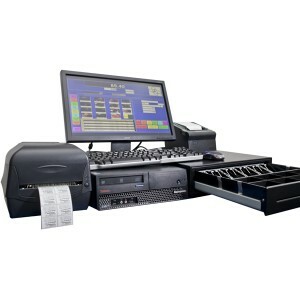 Security - Prevent losses through cash register security features a few are listed. Price Changes - Allow or disallow price changes at the cash register for each cashier. Barcode - Automate transaction with barcode.